There is a famous analogy that compares God to the wind—we cannot see the wind, but we can feel and see the effects of the wind (cf. John 3:8). Similarly, since life originated in the past, neither its design nor its alleged evolution can be observed directly by experimental science. But creation could have left some effects that can be observed. 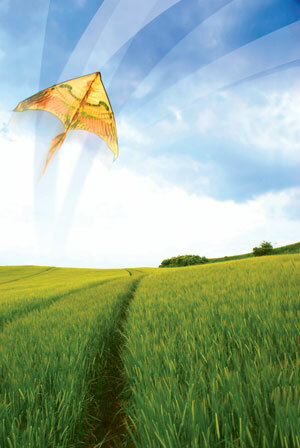 We can see that living organisms were designed because of similarities to man-made objects that we know were designed. 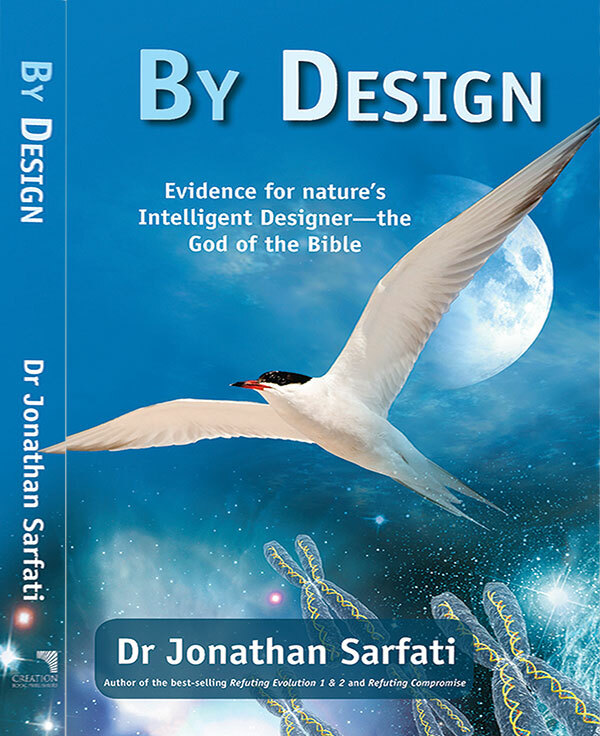 People detect intelligent design all the time. For example, if we find arrowheads, we can assume they were made by someone, even if we cannot see the designer. We can tell the difference between messages written in sand, and the results of wave and wind action. The carved heads of the US presidents on Mt Rushmore are clearly different from erosional features. If it’s unreasonable to believe that an encyclopedia could have originated without intelligence, then it’s just as unreasonable to believe that life could have originated without intelligence (see book reviewed on p. 22). 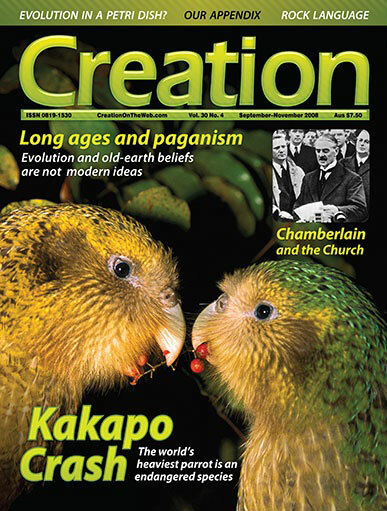 In this issue, we discuss amazing design—that of the champion high-jumpers of the animal world, the froghoppers (p. 40), bird wing technology that gives lessons to airplane designers (p. 53), and indeed in all living creatures since they must be able to make copies of themselves (p. 38). So people are truly ‘without excuse’ (Romans 1:18–32). While we can’t work out the identity of the Designer solely from His handiwork, He has sent His Son, Jesus of Nazareth, to humanity to reveal exactly what He is like (John 1:1–18; Hebrews 1:2–13). And historical evidence shows that Jesus believed that a collection of books we call the Bible was the authoritative revelation of the Designer’s message to His creatures. This includes telling us that He created, when He created, and the sequence of creative acts (see p. 50). While we can’t work out the identity of the Designer solely from His handiwork, He has sent His Son, Jesus of Nazareth, to humanity to reveal exactly what He is like. He has also told us what He expects from those whom He made, and how their rebellion resulted in death and cutting off from Himself. As a result, the Designer pronounced judgment on His creation, which now groans’ (Romans 8:19–23). This is the only cogent explanation of the world as we find it, with both exquisite design and the present ugliness. That explains why our genes are degenerating over time—so could not be millions of years old, according to the inventor of the gene gun (p. 45). Indeed, even beneficial changes generally turn out to be downhill, such as blind fish in caves (p. 54) and the gorgeous glasswing butterflies that have lost scale-making ability (p. 56). This disobedience even resulted in a globe-covering Flood. Again, the effects of this are apparent in the rock record (pp. 32 and 48), and in jellyfish fossils that Darwin thought were impossible (p. 21). So scoffers who deny this global watery cataclysm are willingly ignorant (2 Peter 3:3–7). But a huge, seaworthy vessel allowed selected people and animals to survive (Genesis 6–9). A Dutch shipbuilder shows us something of the nature of this vessel, and even his massive vessel is much smaller than the original (p. 12). The Bible also reveals His rescue plan, as we summarize on p. 17, which is real Good News for mankind. 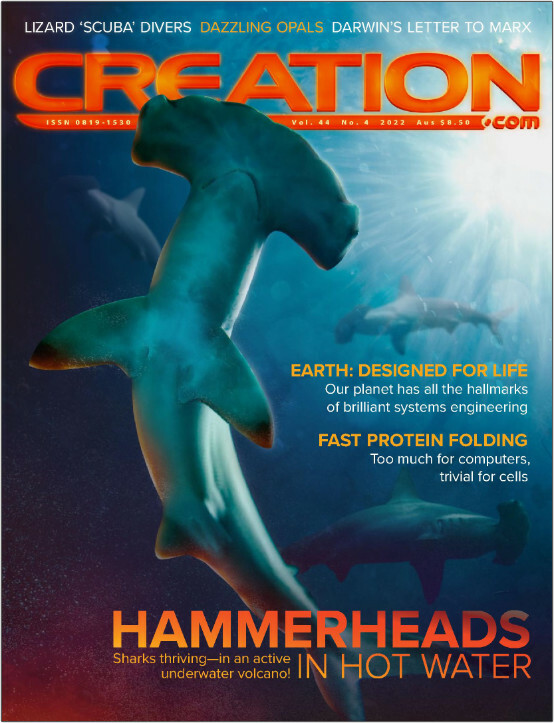 Creation magazine reaches over 100 countries, and as shown with this issue, provides ample evidence for design, and who the Designer is. Jonathan Sarfati Format: DVD Length: 57 minutes Audience: High School-Adult See how ‘goo-to-you’ evolution is refuted right at the start! In this fascinating illustrated lecture, a Ph.D. chemist shows how the laws of real chemistry prevent non-living chemicals from arranging themselves into living cells. 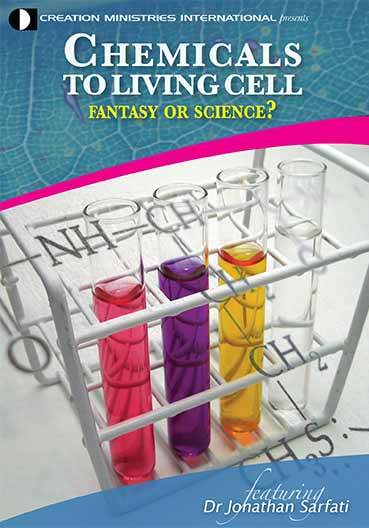 Self-reproducing cells have far more complexity than Darwin imagined. While the content of this popular, illustrated presentation DVD is the same as one you may have with the same title, it now includes extra features. Not only does it have a new cover design, it also has English sub-titles, has been ‘re-badged’ to feature the CMI logo and contact details and includes a 3-minute promotional segment.